When we headed out on our first southwest national parks road trip, I pictured all of Arizona and Utah as one big desert, but I was so wrong. It surprised me how many mountains these two states have and with the mountains come some beautiful valleys, canyons, and forests. 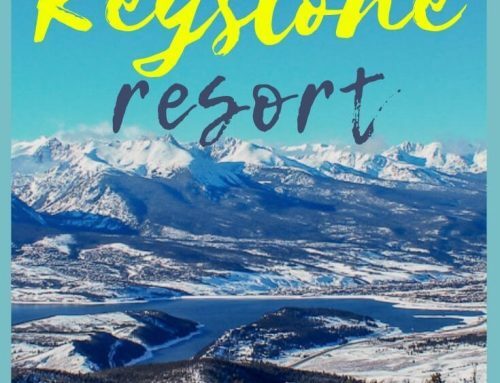 This road trip provides tons of adventure for your family as there are incredible hiking, rock climbing, and mountain biking opportunities all along this route. 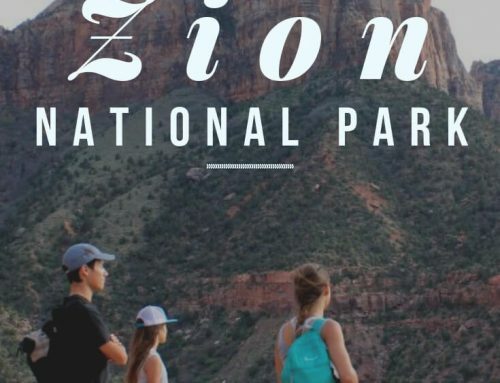 While we like all the national parks, Zion has become one of our favorites and we try to return at least once a year to experience its magical qualities. Bring a good camera because you are going to want to capture all the variations of color and texture of the striated walls of the slot canyons and the lushness of the canyon floors that this trip will take you through. 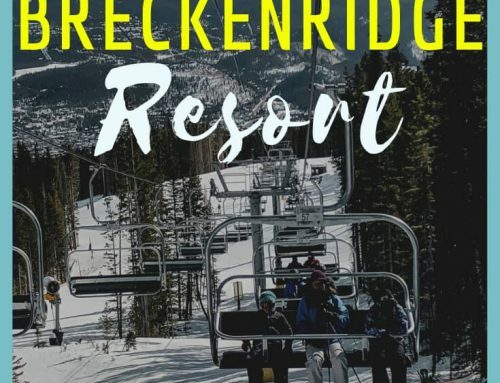 This is a great road trip for Spring or Fall because a few of these places will get very hot in the summer (although we have done some of this trip in June and still had a great time). 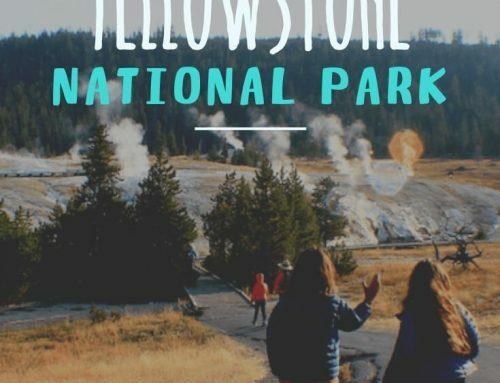 With all the national parks in this guide, you want to try and get a campsite inside the park. First, it allows you to start your hike often from your campground or use the shuttle system. Second, you get to enjoy the beauty and stillness of the campground from a perspective that you don’t get when you just go into the park and only hike. Typically the areas right outside the parks are busy, chaotic, and crowded while camping in the park can give you solitude and quiet moments of reflection and connection. If you start and end in Flagstaff, this road trip is a little over 1000 miles. I encourage you though to add the detours to feel the energy vortex of Sedona, the wind and water-shaped land of Canyonlands, or the sandstone buttes of Monument Valley. If you start in Phoenix, check out McDowell Mountain Regional Park or Camelback Mountain. These parks are great for rock climbing, biking, and hiking. Like all big cities, there are plenty of restaurants and grocery stores to stock up at before you head off-grid. Our favorite restaurant when we are in the Phoenix Area is Pita Jungle. Flagstaff has one of my favorite climbing areas, The Pit. It’s only a fifteen-minute hike from the Canyon Vista Campground and the climbing area is in a beautiful forest. One of our most memorable experiences in Flagstaff is to hike the Lava River Cave (it’s a little hard to get here with a motorhome or trailer). We haven’t made it here yet, but the Observatory is supposed to be great for kids. Try to spend a day or two exploring Sedona. There are a lot of hikes to chose from. Two of our favorites were scrambling up Bell Tower and hiking to Devil’s Bridge. On the way down to Sedona, you can hike the popular Oak Creek Canyon. Mountain biking is very popular here too, however, a lot of it is advanced riding. Our favorite restaurant in Flagstaff is Beaver Street Brewery. They have great pizza and beer, but my favorite is the Brewer’s plate of sausage. This will be the first of many national parks on this trip and if you have never been to a national park, you too will be awed by how incredible the land our government has protected and preserved. National parks have great visitor centers and the rangers are very helpful in telling you which hikes are best for your ability. Make sure you get off the rim and hike into the Canyon. You don’t have to go all the way to the bottom, but seeing the canyon walls from below the rim is wonderful and seeing life from new vantage points always adds perspective to your own life! Dress in layers, it gets cold. Camping at these two campgrounds made the trip to the Grand Canyon so much more enjoyable because it takes a long time to get in and out of the park and the ambiance is totally different inside the park. Even though we were in an RV, I still prefer camping at Mather. I know most people visit Lake Powell and do the houseboat thing (which I’m sure can still be fun), but personally I thought it was more enjoyable to rent a boat and cruise all day on the lake and then be able to get back on land at the end of the day and have a campfire at night. There is a great campsite on the Page side of the lake called, Lone Rock. It’s a great spot to kayak or SUP too. There’s not much as far as amenities, but with that comes beautiful night skies and a lot of relaxation. There aren’t marked campsites here. Instead, you just pull up next to the water and park. Hint: The sand can be soft when you drive in so don’t slow down. If you have a vehicle that can tow a boat, there are boat rental companies about 20 minutes away (in Big Water) that rent boats much cheaper than they do on the lake. Save a day to drive and go explore Horseshoe Bend or sign up for a jeep tour of Antelope Canyon! This is one of my favorite national parks. Zion has so much to offer in such a small space. There are many smaller hikes that are good for kids and are easily accessed from the shuttle bus. If you are adventurous, make sure to hike Angel’s Landing and to Observation Point. We haven’t done The Narrows yet, but we did hike The Subway and it was one of our all time favorite hikes. Camping in Watchmen is a beautiful setting and easy to hop on the shuttle system, however, this is one national park that I’d say is still nice to camp just outside the park because the shuttle system makes it easy to get in and out of the park quickly and while you are outside the park you still feel connected to the beauty of the area. 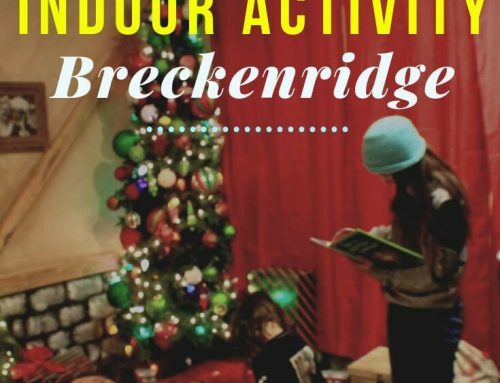 Make sure to check what’s going on at the Visitor Center. They usually have great programs going on for the kids. If you like your beer strong, remember Utah can’t sell anything over 4% on draft so order it out of the bottle. This is a national park that you must see once in your life. I thought it was going to be just hot desert and boring canyon, but it is so much more. It took me by surprise when I first drove into the park and realized that it is actually surrounded by forest (and very noisy insects, which start off being annoying, but you eventually become quite attached to). There are many hikes to do here but our two favorites were Fairyland Loop and Thor’s Hammer. Watch our YouTube video of us hiking Fairyland loop The star gazing is amazing here and it’s so worth getting up early one morning to watch the sunrise. It’s quite an incredible experience and the best part is being on a trail before the crowds. When you leave Bryce and head towards Capitol Reef, take Highway 12 through Escalante. There are tons of great canyons & hikes to explore off this road, as well as incredible views to stop and take photos of. I recommend stopping at a visitor center and getting a brochure with all the great detours available. You may not have ever heard of Capitol Reef because it is a small park and is a little off-the-beaten-path. The national park describes Capitol Reef as, “a hidden treasure filled with cliffs, canyons, domes and bridges in the Waterpocket Fold, a geologic monocline (a wrinkle on the earth) extending almost 100 miles.” It’s not as awe-inspiring as the bigger parks like Arches, Zion, and Bryce, but we still enjoyed exploring the area a lot. There are huge fruit orchards surrounding the campground and they’ve done a great job trying to preserve the history of the area. If the campground is full, there is a free BLM a few miles west of the park that is so remote that you feel like you can see every star in the sky at night. This is another fantastic national park with lots of great hikes to explore. Delicate arch (shown below) was one of my favorites, but there’s an even better one that we missed out on called Fiery Furnace. To do this hike you must accompany a ranger-guided hike or obtain a day-use permit at the visitor center and there is often a couple day waiting list to get a permit. We also missed staying in the park because it was Memorial Day weekend but found a great BLM ten minutes away along Highway 128 at Big Bend (the drive along Highway 128 is beautiful too) and there is bouldering right next to the campground. From Arches, detour to Canyonlands National Park and see Island in the Sky, the Needles, and the Maze. There is a first come first serve campground here (limited to 28-foot maximum length). You can easily just drive through this park and take it in from the lookouts, especially if the weather is too hot. We were literally running on fumes when we drove into this National Park (there are no gas stations after you leave Blanding heading west) so we didn’t stop to hike or camp here (26-foot maximum length vehicle for the campground), but I wish we had. It is another smaller park, but the canyon floors are lush green and the rock bridges are beautiful. If you missed Lake Powell on the way up or didn’t get your fill of wakeboarding, Bullfrog Marina in Lake Powell is only a 60-mile detour from here and there are camping options there as well. There are a lot of possibilities to explore on the way back, including driving through Monument Valley from Mexican Hat (a high clearance vehicle is recommended or pay for a guided tour), visiting Mesa Verde (one of my least favorite National Parks, but don’t let that dissuade you), or take Highway 191 back and stop in Chinle and see Spider Rock (pictured below) at Canyon de Chelly then continue on through the Petrified Forest and rock climb at Jack’s Canyon (I highly recommend). There are campgrounds at Chelly, Mesa Verde, and Jack’s Canyon.